There are GFRIEND's Official 2016 Goods. Both of these were on sale at 2016 KCON NY & LA. how about the card holder? Not that I plan on selling it, but here's the "towel" I got from KCON LA 2016. I don't know why it was called a beach towel; it's basically the material of a typical slogan. I also don't know why it looks sun damaged/discolored. It was about $30 USD I believe. The card holder was $15 USD if I recall. 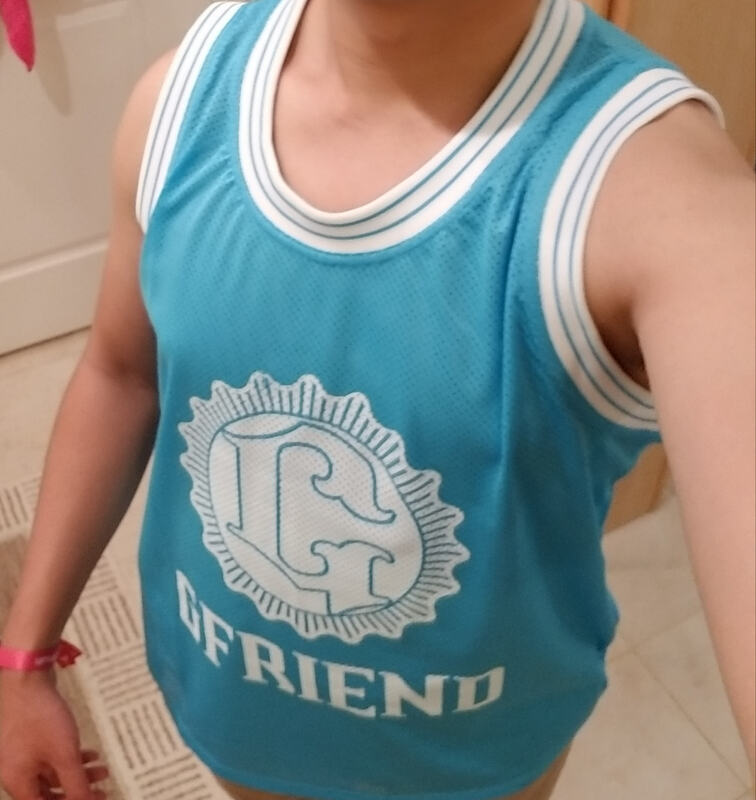 Bonus: Here's me after seeing GFRIEND at last year's KCON NY with the jersey I got there ^-^. There was also a version with the colors inverted (blue on white). I also got a cheering slogan there. It's basically a group shot from The Awakening photoshoot.